Don’t mind the road construction in front of our location because we are open for visitors with free ample parking, as usual, for all. You may find our normal access points on 1st Avenue and Hwy. 27 and 2nd Avenue and Co. B to be closed. 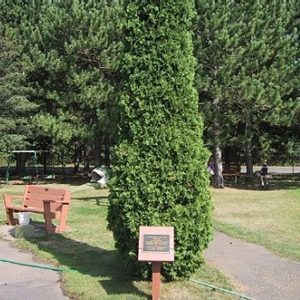 Easy access to our grounds can be gained about 1/4 mile east of 2nd Avenue at Hall of Fame Drive. Sorry for any inconvenience! Click on Map to enlarge. 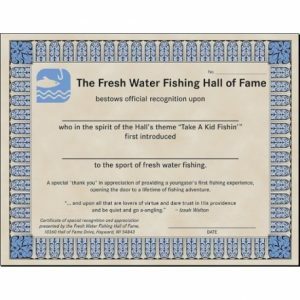 The Fresh Water Fishing Hall of Fame and Museum is the international headquarters for education, recognition and promotion of fresh water sportfishing. 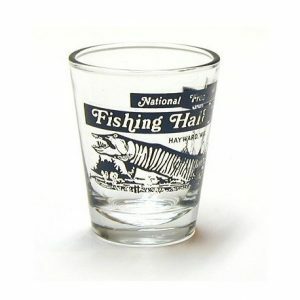 Our mission is to develop and maintain the Fresh Water Fishing Hall of Fame and its museum for the preservation and display of historical artifacts of fresh water sportfishing. 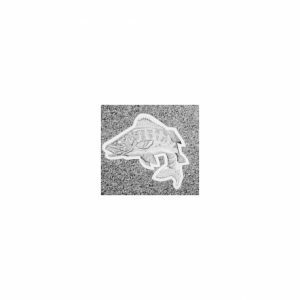 We strive to conduct and maintain a program for the recognition of persons, organizations and institutions who have made significant and lasting contributions to the sport and heritage of fresh water fishing. We conduct and maintain a program for qualifying, compiling and publishing all fresh water sportfishing records. 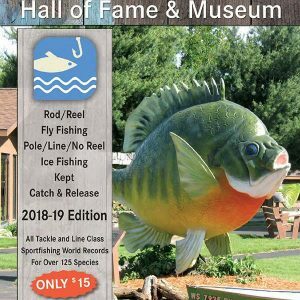 The Hall of Fame maintains a library that disseminates information and acts as the clearing house for historical and contemporary publications for the fresh water sportfishing industry. 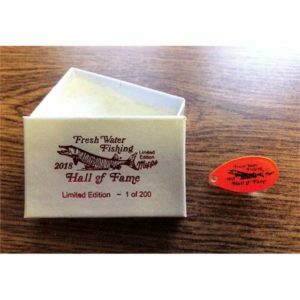 The Fresh Water Fishing Hall of Fame institutes programs to foster, maintain and improve our environment for future generations through promotion and education. View the Inductees biographies and photos. Class of 2019 Inductees Are Announced! 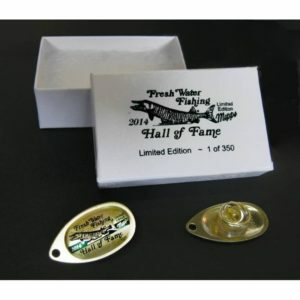 To the Fresh Water Fishing Hall of Fame! Our Awards Committee meets annually in August to make their selections for the following year. Limited edition pins for Hall members and supporters. 2019 Enshrinees & Inductees are Announced. 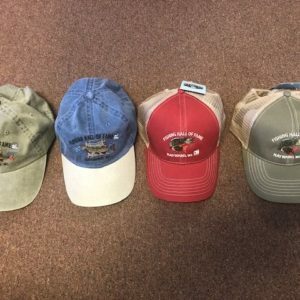 Fun video flyover at the Fishing Hall of Fame in Hayward, Wisconsin. 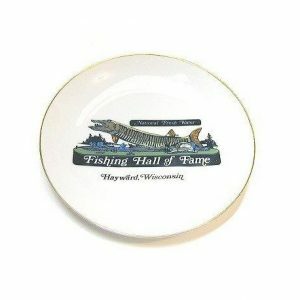 Was inducted into the Freshwater Fishing Hall of Fame as a Legendary Angler in 1992. Read the latest article from the Executive Directior. 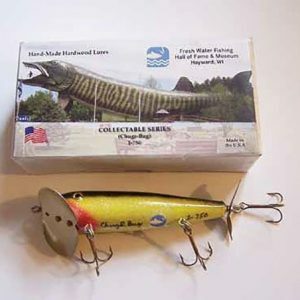 How many of you remember the first fish you caught, or more importantly, remember the first time you went fishing? The new record - and we're under oath here - was nothing short of colossal. It weighed in at 3,052,000 pounds and measured a stunning 3,744 inches in length. 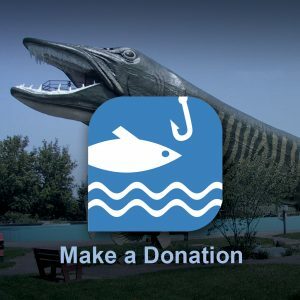 Help the Hall with a One-Time Donation Today. Available to Bronze and Media Members featuring latest news, the Directory Says, record book updates and more. 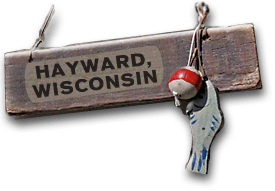 Weather Forecast for Hayward, Wisconsin.